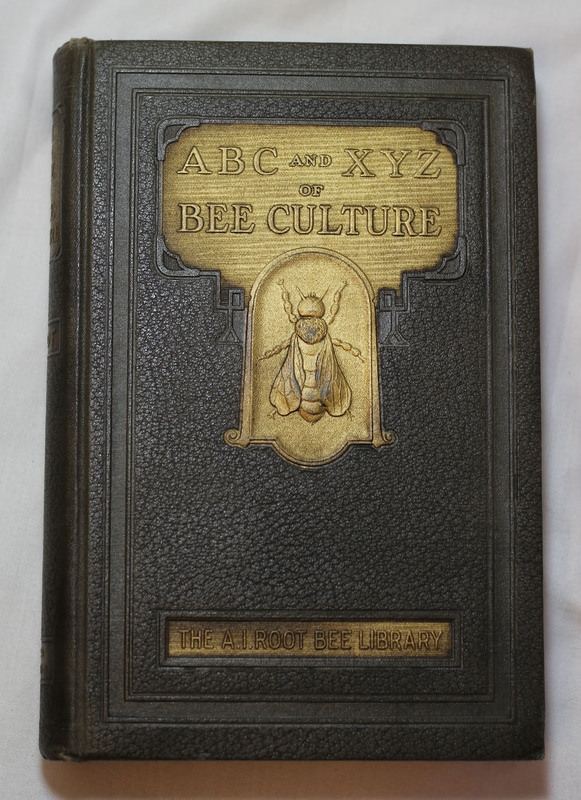 Here’s a collectible book for the bee keeper or bee enthusiast! 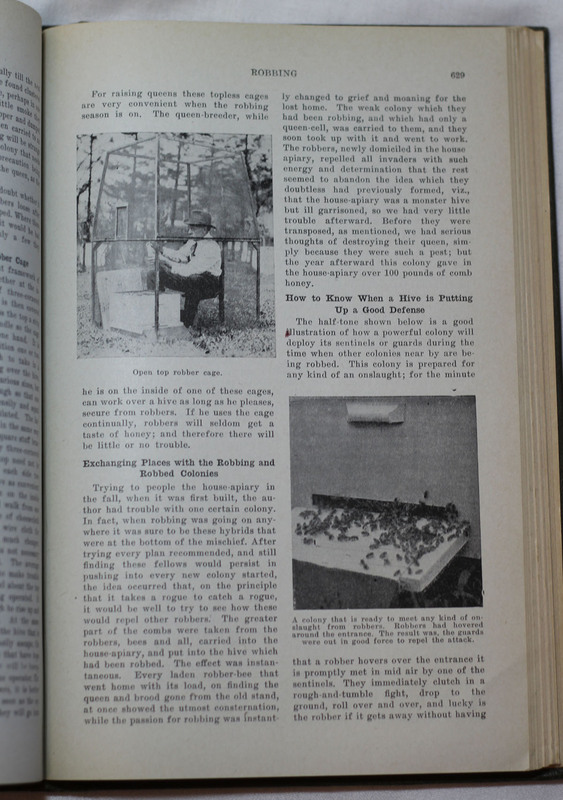 Below are photos of the 1929 edition, although this book has been reprinted, and you can compare all editions here. This book is written in encyclopedia form, with topics organized alphabetically. It aimed to cover everything related to the honeybee, including: hives, honey, implements, honey plants, beekeeping. This book is illustrated with a lot of photographs! 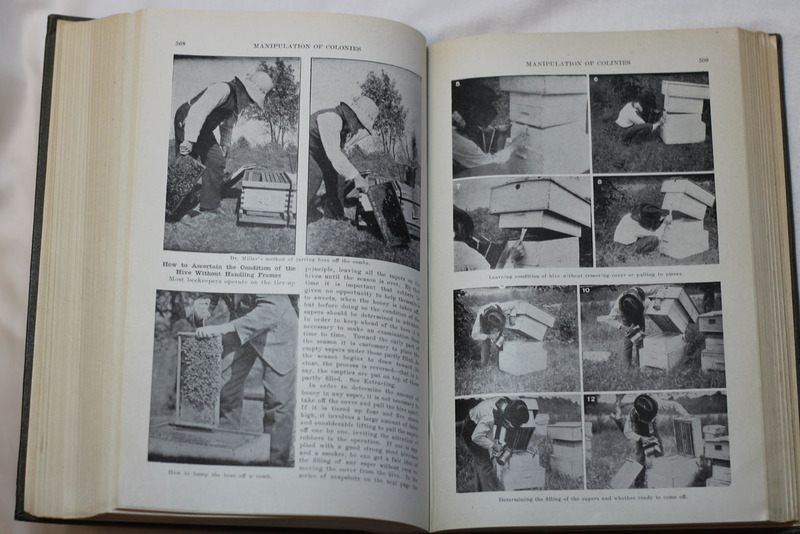 Here are two pages showing the “manipulation of colonies” with guidance on how to check on your hives. A bee keeper would probably find any edition of this book useful. 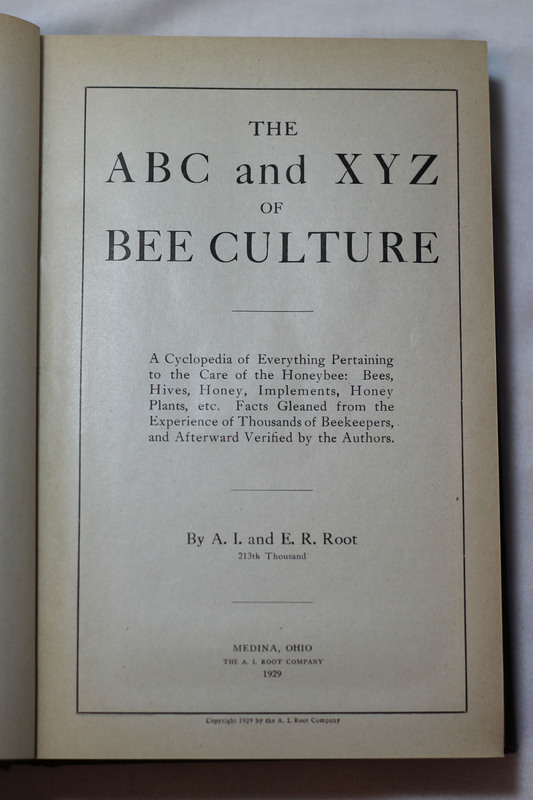 It is one of the most popular classic books on bees. Older editions are harder to find and the ones that look antique with gold lettering or with a gold honeybee decoration on the front cover seem to be valued the highest. You can check out current prices here.